Mikael STENKULA has a B.Sc. in Business and an M.Sc. in Economics from Lund University. He studied for a Ph.D. in Economics with an interest mainly in monetary issues but also with a focus on the Austrian tradition of economics. After a year as a lecturer at Lund University School of Economics, he moved to Stockholm and started to work at the IFN. 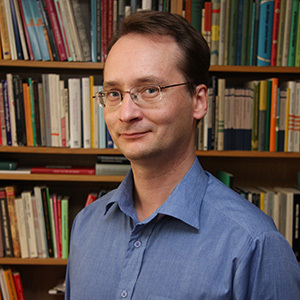 Mikael Stenkula’s present work at the Research Institute of Industrial Economics is focused on research concerning entrepreneurship and business structures. “The European Size Distribution of Firms and Employment.” ICFAI Journal of Industrial Economics, vol. IV:2, 46–63, 2007. “Entrepreneurship and Public Policy” (with Mikael Stenkula). In Zoltan J. Acs and David B. Audretsch, eds., Handbook of Entrepreneurship Research. New York:Springer, 2010. “Taxation, Labor Market Policy and High-Impact Entrepreneurship” (with Magnus Henrekson and Dan Johansson), Journal of Industry, Competition and Trade, 10(3–4), 175–296, 2010. “Taxation and Entrepreneurship in a Welfare State.” Small Business Economics, 39(1), 77–97, 2012.